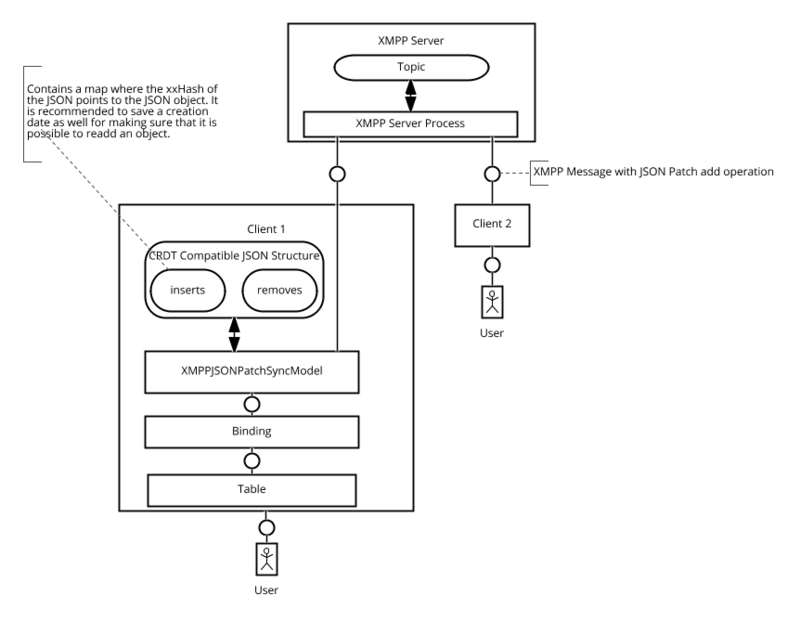 The OpenUI5 data model uses a node on an XMPP server to synchronize itself to different connected clients. Because of the usage of CRDT (Conflict-free replicated data type) it is easy to build offline capabilities on top of it. 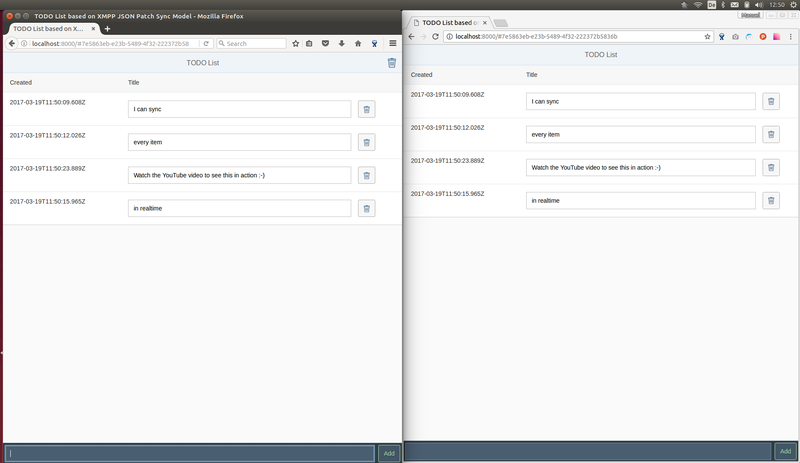 In our developement we used ejabbered running on Ubuntu 16.04. The communication with the client uses a WebSocket connection to the XMPP server but every other client can connect via normal sockets using port 5222. If you need support please contact us.